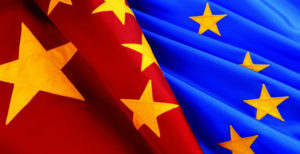 Giorgio Cuscito is the author of this interesting article on the relationship among China, Great Britain and the European Union – published in Limes – which confirms that Britain’s negotiating power towards China has greatly decreased after the Brexit referendum. This is because Britain itself could have represented a privileged partner for China within the EU. That was before. Without wanting to put my words in the author of the article’s mouth, the vision of Cuscito fits well with what I have been supporting for some time: that is that China always tries to use each of the 28 countries of the Union to its advantage, in order to penetrate the market in the remaining 27 countries. What is perceived as a strong point in Brussels – is the fact that so many countries have formed a single market – is instead exploited by China, and rightly so to its advantage, and thus becomes a point of weakness of the same European Union. I always use the comparison of 28 countries used by China as potential 28 Trojan horses. To make the comparison more visual, we know well that the Titanic sunk not only because it hit an iceberg, but because it had so many doors without bulkheads, just as it is the European single market, and that is also why the model of cooperation of the countries of Southeast Asia, Asean, is not based on a Custom Union, but on free trade based on the rule of the country of origin, a nice way to avoid contagion.